As a composer, Eleonor’s music has been featured at Cannes and on MTV and can be heard on Koch International, One Soul Records, ERM Media, and Albany Records. She has received grants and commissions from the Lower Manhattan Cultural Council, New York State Council on the Arts, Jerome Foundation, ASCAP, American Music Center, New Music USA and Meet the Composer and has been a composer-in-residence at Yaddo, STEIM, and The MacDowell Colony. As a pianist, she has performed and premiered new works by composers including Steve Reich, Egberto Gismonti, Don Byron, Guy Klucevsek, Eve Beglarian, and David Lang. She has recorded for CRI, Nonesuch, New World Records, Mode Records, and Orange Mountain Music and plays concerts throughout the world. Since joining the Philip Glass Ensemble in 1991, she has been deeply involved in live music and film performances as performer, conductor and composer. She is co-founder and director emeritus of the MATA Festival and has been producing live film and orchestra events for The Leonard Bernstein Office since 2010. She is managed by Price Rubin & Partners. Explore more of Eleonor’s music at www.esandresky.com, www.youtube.com/user/chorpiano13/videos, and soundcloud.com/eleonor-sandresky. 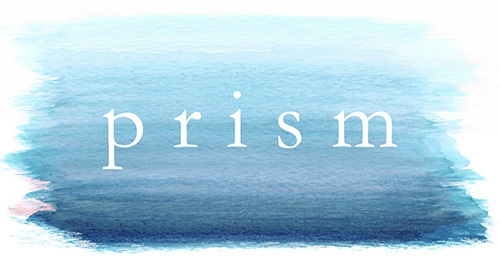 Led by C4NM curator Julia Ogrydziak, PRISM events are part performance, part dialogue. Audiences experience new music and multimedia through the lens of performers, composers, and collaborators as they couple their creations with personal stories of history and process.